Designed to thwart the cleverest attempts at hiding weapons, drugs, stolen goods and other contraband, Loop Scano- 300 X-ray Security System is ideal for screening everything from big size packages to oddly shaped items and palletized loads. Image Processing…………Edge enhancement, image strengthening, image lightening,, reducing darkening, image returning, image retrieval. Baggage scanners are commonplace in many public buildings and more so areas with high security details and concerns. 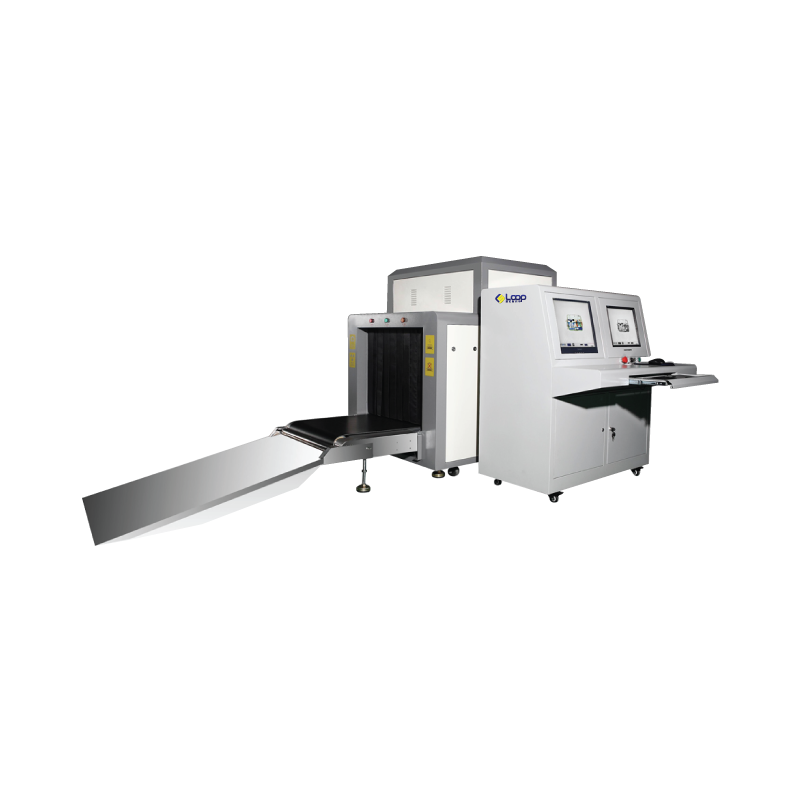 These baggage scanners vary in size, sophistication and ultimately, in their screening capabilities. The Loop Scano 300 is perhaps the epitome of security screening systems. It is a larger than average baggage scanner, with a tunnel size of 80 * 65 centimeters. This system is more than adequately sized to cope with larger sized packages and bags, in buildings that would have persons toting such luggage. Buildings that should utilize this industry size and industry standard baggage scanner include airports, bus/ train stations, embassies, factories, for military purposes as well as some public administrative buildings and schools. This baggage scanner can detect the smallest items hidden in intricate places and in odd shapes. It can be used to detect items such as needles, which could be stuck/hidden in shoes, as well as explosive powder and drugs. Because of its size and capabilities, it is the perfect size for prisons and military applications, where the luggage carried by personnel may be of a greater size than normal. It is also of the right size for mail rooms. Where mail comes in from different nations, with different types of content but especially, of different sizes, this machine will detect contraband of any size or type, with a processor working with 24bits, storing 60k images in real time. Unlike other baggage scanners, the Loop Scano 300 has a maximum load limit of 200kgs. Any baggage or merchandise that reaches such a great mass would need to be screened quickly for others to go through the same screening. The system would, however, need to process information quickly as well, providing the user with relevant information, in real time. The Loop 300 x’s manipulates data with a 24bit processor, storing 60k images in real time, all the while, giving the user the option of enhancing the same. Enhancement options also include strengthening, lightening, reducing and enlarging of images. All this can be done in real time, giving the security officials enough time to take any prompt security measures. Distinguishing objects is another standard feature of the Loop Scano 300 X-Ray Baggage scanner. For example, organic material may be presented in a blue color, while inorganic ones are displayed in green or any other color. All this information has to be displayed with clarity, enabling the user to scrutinize the images and follow through with adequate security protocols. This equipment is housed with a 17 inch monitor, with high resolution, 1024 * 1280 pixels, which are the standard, industry level settings for display monitors. The Loop 300x Baggage Scanner has a protective cover and curtain to limit lead pollution. It also has a 32 mm steel penetration, its film safety is ISO CERTIFIED, with what is coined a multi-energetic X-RAY sensor. During peak and off peak hours, when screening varies according to the amount of traffic coming through, the energy usage levels can be adjusted from high to low and vice versa. It is also supported on local networks and has both a sound and light (audible and visual) alarm.